Wadsworth Publishing Company is now Wadsworth Cengage Learning--same sites; same excellent support. 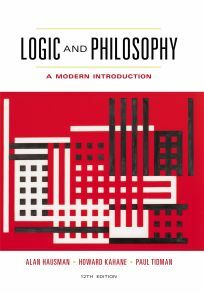 The Official LogicCoach 11 Page is maintained by the program's distributor Wadsworth Cengage Learning. The Official LogicCoach HKT12 Page is maintained by the program's distributor Wadsworth Cengage Learning. The program was developed by Professor Nelson Pole of the Philosophy & Comparative Religion Department at Cleveland State University who also maintains this site. To function properly in WIN7 or VISTA, LogicCoach needs to be installed under full administrator rights. Even if you log on that way, in WIN7 or VISTA you may NOT really have them. Run the install program by RIGHT clicking on its icon and chose "Run as administrator" from the drop down menu. Do not keep records that are to be shared in the same folder as the LogicCoach application itself nor keep them anywhere else within the Programs/Applications folder. It is best to create and store your record in your Documents folder. When you return as a registered user then reopen the same record file. By default, LogicCoach opens the Documents folder for you when saving records. Finally, to share this record with your instructor, attach the file to an email message that is addressed to your instructor. You MUST keep ALL the items installed in the LogicCoach folder together. Do NOT separate them. Note: At the bottom of the latter two pages are links to other chmReaders as well. LogicCoach has significant help features for proofs. On the step side, put a * while on the citation side the rule and premise numbers, LogicCoach will build the wff for you! On the citation side, put a * and premise numbers while on the step side the wff, LogicCoach will build the citation for you! On the both sides, put a * , LogicCoach will give you a hint about a successful strategy for the proof! For all of these, the advice/fill-in will occur when you check your answer. The design of the program on all exercise screens is to simulate, as closely as possible, the sort of work that a student does when using paper and pencil. LogicCoach, version 8.x, comes in a self-contained folder, HLC_11, that requires no special installation. In fact, it can even be placed on a USB drive and run from that, allowing you to move it from PC to PC throughout the day. However, if the intention is to place it in the C:\Programs folder in Win7 64, then it should instead be placed in the C:\Programs (x86) folder since it is a 32 bit application and not a 64 bit one. However, wherever the LogicCoach folder is placed, the contents must be kept together; do not separate them. Latest WINDOWS basic setup (dated 05/12/2013). Latest WINDOWS custom setup (dated 05/12/2013). Latest MAC version (dated 11/30/2012). Last WINDOWS version (dated 01/22/2010). The Windows versions begin with a 6 and the MAC with a 5. Last MAC version (dated 06/25/2010). Last WINDOWS version (dated 11/09/2007). The Windows versions begin with a 5 and the MAC with a 3. Last MAC PPC version (dated 11/13/2007). Last MAC Intel version (dated 11/13/2007). For users of the 8th edition of the Hurley Text, the last WINDOWS version of LogicCoach is still available (dated 9/09/2004). Latest WINDOWS basic setup (dated 04/06/2012). Latest WINDOWS custom setup (dated 04/06/2012). Latest MAC version (dated 08/26/2012). Last WINDOWS version (dated 09/01/2011). The Windows version starts a new number series, 2.x. Last MAC version (dated 01/31/2011). 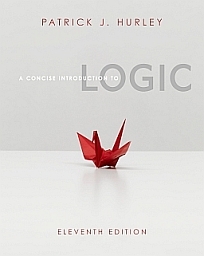 LogicCoach III for the 9th edition of the Tidman/Kahane Text is still available.